Last week, I had the chance to spend my lunch break at the Grant Palais to see the Cartier exhibition (which ended on the 14th) which felt like a fairy-tale, a real delight for the eye ! There once was a master jeweler named Louis Francois Cartier, his son Alfred and his grandsons Pierre-Louis and Jacques who shared a small jewelry that became one of the most prestigious name in the area. In 1899, they establish themselves rue de la Paix, the place to be if you were a jeweler, a dresser or shoe maker at that time, and became to spread abroad by gaining wealthy costumers from the Russian aristocracy to the American elite, the English gentry and the Indian royal family. 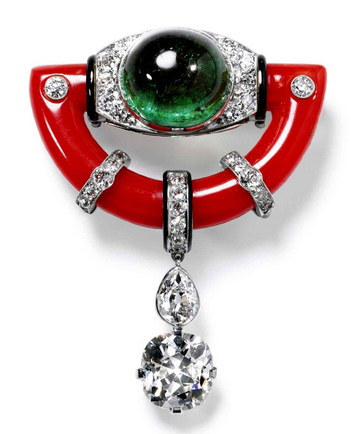 In the Salon d’Honneur were exposed some of the greatest pieces that marked the history of the French jeweler. Starting with a column of tiaras worn by the royals of many countries, the show leads us through the most magnificent pieces from the 18th century to the late 20th. 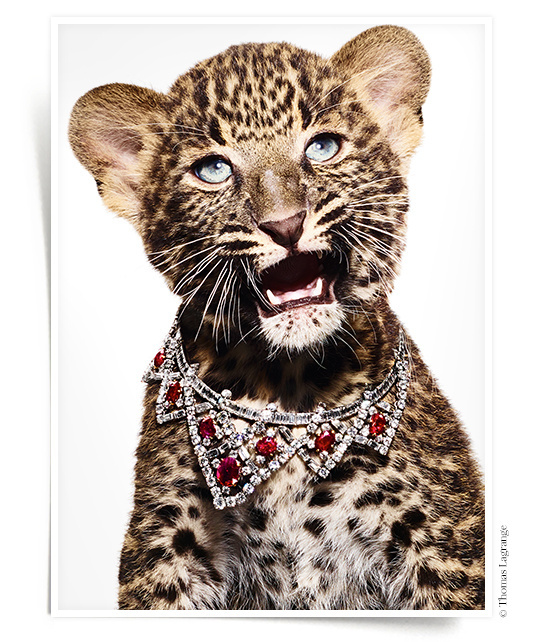 Some of the favorite pieces of Cartier’s ambassador such as Elizabeth Taylor are exposed for the first time along with one of the house greatest diamond. More than jewelry, they are works of art that are collected in this unique exhibition. 600 jewels and gems, objects (cigarette box or wristwatch that appeared during the 20s) and clocks are put in context accompanied with Art Deco pieces of furniture, dresses, coats and other accessories. Photograph, prints from fashion magazines and invites help us to have a concise idea of the historical context. Nearly 200 sketches and numerous archival documents (inventory records, mood boards, drawings, photographs) illustrate the work behind the scene of creation. Even though the scenography was a little too dark and didn’t allow focus on the descriptions, the pieces sparkled under the amazed eyes of the spectator. Over the course of styles, inspirations and iconic personalities, the entire history of Cartier was revealed in this ephemeral and magical setting. As the show is now over, I recommend these videos, which narrate Cartier’s history through chapters and influences such as Modern Times, Icons or Exoticism here. Also, the television channel arte made a wonderful documentary on the French Jeweler which can be viewed here. It is quite long and in French but very well done !